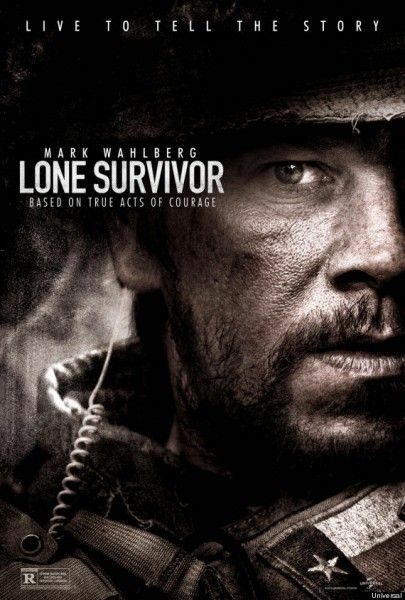 Universal Pictures have released the first trailer, poster, and images for Peter Berg‘s adaptation of the non-fiction book Lone Survivor. The film tells the story of four Navy SEALs on an ill-fated covert mission who try to neutralize a high-level Taliban operative, but are ambushed by enemy forces in the Hindu Kush region of Afghanistan. Berg is a wildly uneven director, but I have so much good will towards him for The Rundown and The Kingdom that I want him to succeed. Unfortunately, this trailer makes the film look like a military recruitment ad of the worst kind. The best way to respect the troops is to paint them honestly, and I fear that honesty is absent from Berg’s picture. I hope this trailer is misleading and Berg hasn’t made Act of Valor but with real actors. Hit the jump to check out the trailer, poster, and images. The film stars Mark Wahlberg, Taylor Kitsch, Ben Foster, Emile Hirsch, and Eric Bana. Lone Survivor will open for an awards-qualifying limited release on December 27th before going wide on January 10th.